Nowadays bloggers are gaining traction and recognition as writers but the process of getting a book deal can still be daunting. 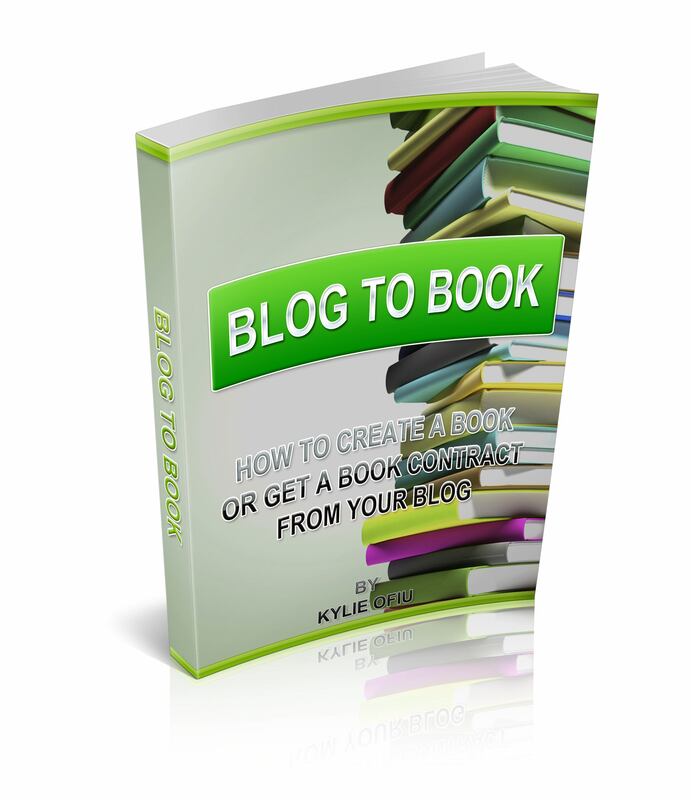 Thankfully, Kylie Ofiu, a blogger and author herself, has put all of her knowledge into this advice-packed e-book so that you too can go from blog to book. Kylie doesn’t just say, ‘Write a book and pitch it.’ She walks you through each step of the process, explaining the importance of handling the contract, what publishing rights to allow, and who you deal with along the way. Her chapters are short but give you exactly what you need to know. She even breaks down the pros and cons of mainstream publishing vs. self-publishing. This is a great how-to starter for any blogger wishing to become a published author. What makes Kylie’s e-book unique? Unlike some how-to books, this one is written by someone who has actually done what the book teaches. Kylie landed a book deal thanks to one amazing blog post. In addition to telling her own story, she also enlists the help of other authors to write this guide. Plus, she’s willing to answer any questions you might have about the process via email. It doesn’t get any better than that, right? Book promotion ideas! At the end of the book, you get nearly 20 book promotion ideas to make your publishing a success. There are some very clever ideas, including a blog tour and a Youtube trailer. So often we forget that there’s still work to be done after the book is out in the world. If you have the desire to turn your niche knowledge or most popular blog posts into a book, you’ll find all the advice you need in Blog to Book. It goes through the process of pitching publishers and what to watch out for with contracts. Nowadays, more and more book deals are being made with bloggers. So don’t shy away from the possibility of adding ‘author’ to your job title.